In another workman’s like performance, Otto Sitterly fought for everything he could on Retro Night at Oswego Speedway August 6, battling to a solid third-place finish in a race that saw only one caution flag during the 45-lap distance. Starting P8 in the 18-car field, Otto quickly wheeled his Nicotra Racing / Royal Purple / G&I Homes / Riccelli Northern No. 7 past several cars to move into P4 behind veteran Joe Gosek. Sitterly would spend most of the race trying to pass Gosek’s No. 00, finally overtaking the Oswego, NY, driver on the final lap of the contest. 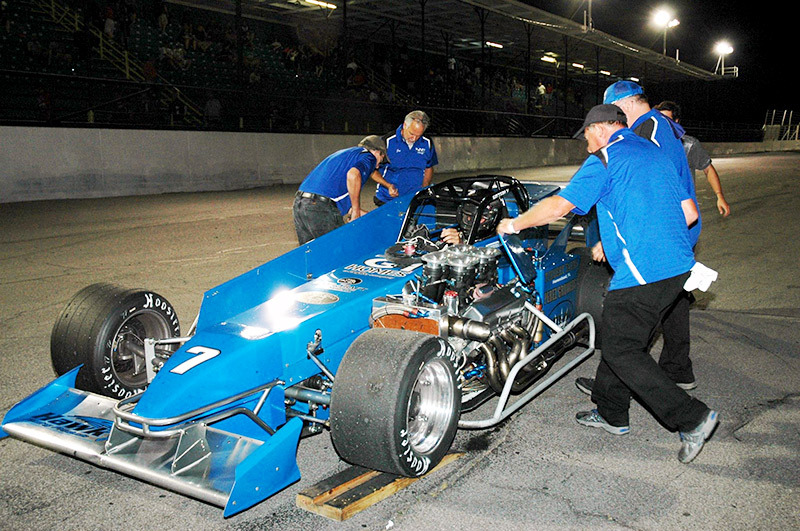 Only two races remain until Classic Weekend, which this year will close the Oswego Novelis Supermodified season. Sitterly and the Nicotra Racing team will be in action this Saturday, August 13 and the final points race of the season Saturday, August 20. In order to win his eighth Oswego track championship and Nicotra Racing’s seventh title, Sitterly will need to continue his consistency, and he’ll need some help. With two race nights remaining, Sitterly sits fourth in the standings and 31 points behind leader Dave Gruel. While not insurmountable, he’ll need Gruel, as well as second- and third-place Michael Barnes and Michael Muldoon, to give him an opportunity to make up points and challenge for the title. This weekend Davey Hamilton will make his second appearance of 2016 in the Nicotra Racing No. 6. It will be Hamilton’s final preparation at Oswego before the Budweiser International Classic 200, which he won in 1997.